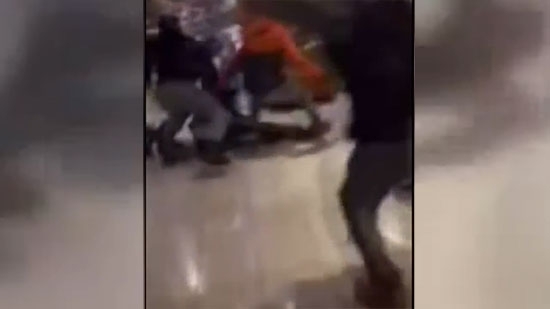 Five teenagers will be charged in connection with a fight at the King of Prussia Mall that was caught on cell phone video. Three 14 year olds will be charged with misdemeanor simple assault. A 15-year-old and a 12-year-old will face summary harassment charges. It happened on Friday, March 31st around 8 p.m. The 15-year-old victim and his girlfriend were walking around the mall celebrating his birthday. The victim was jumped from behind by the group of teens who continued to punch him while he was on the ground. Police say this was not a random attack. The victim was targeted because he tried to break up a fight involving these teens weeks before. Police believe they are students at Radnor Middle School. Upper Merion Township Police Chief Thomas Nolan also says those teens will be banned from the King of Prussia Mall. See video below. Police are investigating a road rage incident in Lawncrest that sent a man to the hospital Friday night. It happened around 7 p.m. on the 4800 block of Summerdale and Roosevelt Boulevard. 44-year-old Carlos Martinez of North Philadelphia was struck by a woman driving a white SUV who fled the scene. The victim's wife, Delaine Colon, said incident began when the SUV began tailgating their car. They pulled up next to the suspect and said something. That's when the suspect got out of her vehicle and began fighting. Colon says her husband broke up the fight and separated them. As he was walking back to the car the suspect drove up, ran him over, and drove away. He was taken to Einstein Medical Center in serious condition. Police are talking with witnesses and looking at cell phone footage to figure out the identity of the hit-and-run suspect. Four people were shot in Chester, Delaware County on Friday night. It happened after 8 p.m. Friday on the unit block of East 21st Street. One of the victims was shot in the face. Three victims were transported to Crozer-Chester Medical Center. Police are investigating the shooting. No word on what led up to the incident.